Bumblebees and Butterflies: Memory Box dies on Vintage Christmas card. When I was teaching at the Art of Craft, I was shown some Memory Box dies, well I just loved them and bought several (ahem oh dear). I used this lovely family of deer on some shiny metallic card and laid it over a stamped and painted snowy scene. The papers are from MME - a Signature Christmas by Jen Wilson and what fabulous colours and designs each 12x12 is. I have used three of them on this card, added a border punch strip, a bow and snowflakes (also by Memory Box) to achieve this vintage look. 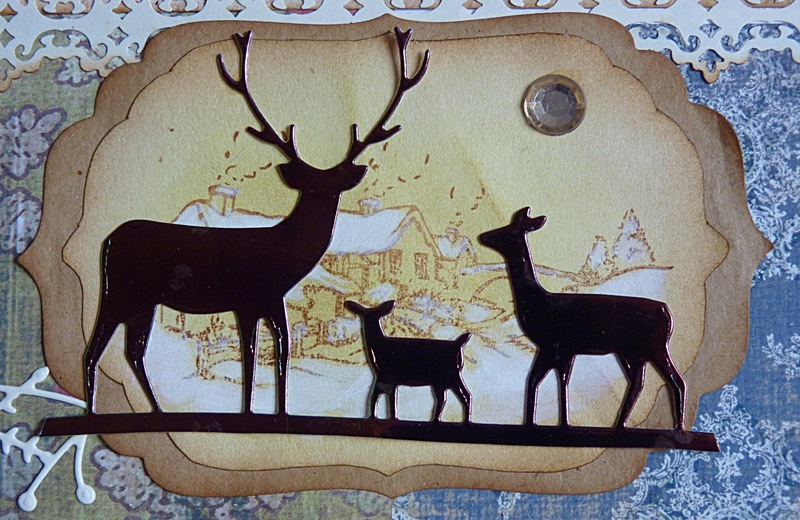 A wonderful card with great dear images. Wow Brenda, what a fabulous Christmas scene. Love the die cuts and the soft colours. Memory Box dies are gorgeous, but wherever I look for them, the ones I would like are Sold Out! Must keep looking! Absolutely lovely Brenda. You have such an eye for colour and detail. Very pretty! At first I thought it was a shadow box....perspective can change depending on how you view it. Good job! 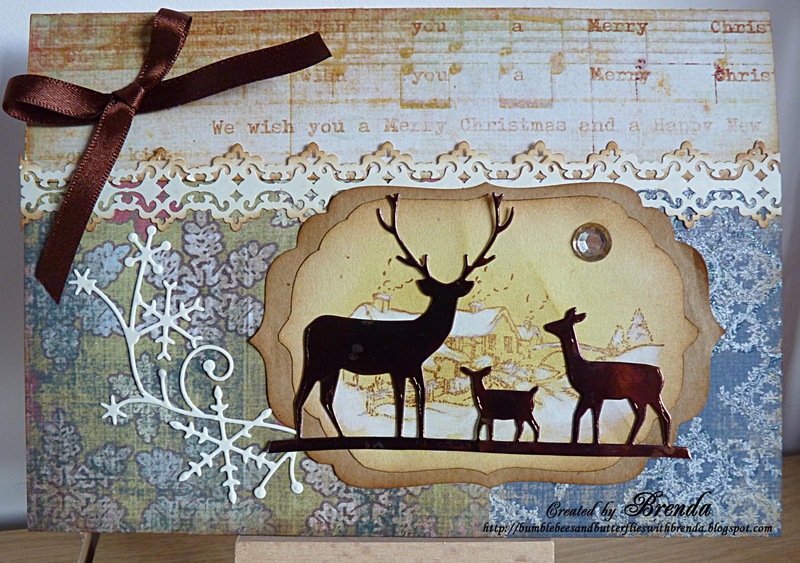 A beautiful card Brenda and such a gorgeous deer family too. I'll have to investigate the dies as I haven't heard of this make. Those dies sure are fab but it is they way that you have used them that makes them come to life. You have created a beautiful scene. Love your great winter scene! Awesome! Me wants some of these dies Brenda, your card is another beauty.